Grammy Award winning mixing engineer Andrew Scheps mixes the song “Fly Rasta” by the amazing Ziggy Marley using exclusively hardware equipment. This is the way records used to be made and it is a truly exceptional learning opportunity for all aspiring producers and engineers. Even if you don’t have access to analog gear like Andrew’s remember it’s not about the gear, it’s about the vision you bring and techniques you use - that’s the key to a successful mix. In this 2-hour tutorial Andrew Scheps mixes Ziggy Marley across his twin analog Neve 8068 consoles explaining all his decisions, sharing his signature rear bus parallel compression concept and using the best vintage gems from his world-famous wall of gear. This video is a deep dive into the world of analog, see and hear compression and equalization techniques as Andrew demonstrates his unique workflows that will be truly inspiring to all engineers. 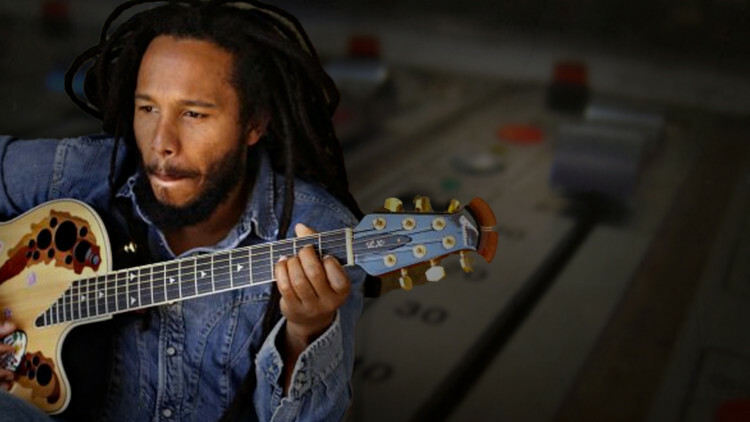 This tutorial is best complemented by Andrew Scheps Mixing Ziggy Marley In The Box - see how he mixes the same song but this time entirely inside of Pro Tools. Compare the two mixes then download the stems from Andrew's session and mix your own! Good morning children, welcome back to Punkerpad West in Van Nuys, California. I'm Andrew Scheps and today we are going to mix a song called Fly Rasta by Ziggy Marley, of his last album, also called Fly Rasta. In a previous video you may have seen us mix this song completely in the box. Today we're going to do the opposite. We're gonna mix it out of the box. We're still gonna be using Pro Tools as a playback device, I didn't bother transferring this one to tape. And we're gonna do a little bit of processing inside of Pro Tools because there are some things that I'll always do inside the computer rather than try and recreate them outside. But the bulk of the mix is gonna be done on a Neve 8068 console, it's two of them actually, because I'm greedy. We're gonna be using tons of analog outboard gear, which we're gonna patch up in a second, but before we go over the patchbay I just want to describe the console so you have some idea of what it is we're working on. The Neve 8068 is probably the most flexible of the Class A/Class AB consoles that were made up until right around 1980. The main console that I have in front of me is from 1979 and the satellite console, which is just next door, is from 1980. It is a 16 bus console. There are 8 sends, so that's 2 more than an SSL, if you are keeping score. There are 4 mono sends and 2 stereo sends and you can switch them pre and post, very flexible. It was meant to be used as a split console while recording. So you had a microphone input that would go through half of the sends and go up to the busses through the fader. And then you would have the tape return, going to a knob and hit the monitor section which is quad monitor section, and you'd have four sends. The mark 2 version of this console has a fantastic mode called Remix Mode. It basically just gives you one input per channel that hits all 8 sends, all 16 busses and the Quad Bus. So, one signal goes everywhere. The only limitation of these consoles is that there's one line input per channel, so you can't cheat when you're mixing and leave it in record mode and have 2 line inputs both hitting the mix bus, you'd have to do some heavy modifications. And I'm a fan of how the console came. And when 32 inputs wasn't enough I just got another console. The way we're gonna be working is the first 24 channels of this console are really gonna be the tracks. I haven't laid out the session yet but I'm pretty confident that we're gonna fit in 24 pretty easily because we're gonna be doing some sub-mixing inside of Pro Tools, there's no point in bringing all the tracks up individually. So this last set of 8 on this console probably won't be used a whole lot. Then the other console is gonna be mostly returns and you'll see, using the automation group masters I'll be controlling some of the faders from that console on this one. But that will mostly be for returns of reverbs, delays, parallel compressors. All of the things that I'm sending to from this console. The very first thing I'm gonna do is to set up the session. It's a very clean session that came to me with a few edits but they were very good about consolidating tracks and not giving me lots of options on things. There are quite a few tracks but as I go through and organize you'll start to see that we can really start to combine some things. So while there are this many tracks, we're gonna definitely be able to fit this into 24 outputs. Let me make the tracks a little bit bigger, so we can see what's going on, and let's start. For me, whether I'm working in or out of the box, a very important part of the session setup is the color coding. Because for me, that just allows me to organize the session, I can find things and it makes every session I get look familiar. When I'm working on the consoles, I have these. These are multi-colored sharpies and these are the colors that I use for writing on the console, and they happen to be very close to the colors that I use inside the session. Let's begin, shall we? I'll start on the top of my session and the left hand side of the console, with drums. So, I have my drums first. You noticed I've got three kick tracks and we're gonna go through the three tracks, decide what we wanna use, but as far as I'm concerned on the console, these are going to come out of output 1.
going to be this dark blue. This is my drum color. Let me go ahead and color code the drums completely. Now we're gonna start assigning outputs. I'm gonna take my black sharpie which corresponds to this very dark blue. black in Pro Tools is no color and I reserve that for tracks that for some reason have to be in the session but I don't have to deal with them. So, I'm gonna come down here. Write a K for kick. Next is snare and as usually happens, when recording multi miked drums, there's a top and a bottom, I'm gonna assign that to output 2. The next in the kit is a hat mike which I'm actually just gonna save for later for a second. I'm gonna come down here and find the toms. There are 3 tracks of toms and there's also a track called timbale. From having looked at the song before, I already know that the timbale is actually used like a tom, high pitched tom. So I'm gonna take all four of these tracks. And I'm going to route them to a bus which is already in the session from having imported the template earlier, to a Stereo Aux called Toms. And we'll go ahead and make an Aux to send that out of Pro Tools. And we're gonna come out of outputs 3 and 4. Very exciting, you're gonna get a really good look at this piece of tape later, the most exciting thing in the world. Looking at the rest of the drum kit, I've got overheads. And then I have a few more drum tracks. So now, basically, what I'm gonna do before I finish laying out the rest of the drum mikes, is look at my bass and see how many tracks I'm gonna need for bass. I'm gonna skip some percussion. Come down here to bass, and I've got 3 tracks of bass, one of which is actually a copy of the DI. This is something I set up from before, because I actually know I was gonna need it. And I'm gonna just say that I'm gonna need 2 outputs for the bass, I feel confident that I can combine either these 2 DI tracks which are gonna be treated differently, and then leave the Amp track on its own, or I'll come back and put the treated DI with the Amp on output 12. So now I've kind of hemmed in the right side of this pocket. Blue sharpie because bass is blue. It should be obvious, I've heard other people use other colors but that's because there's something wrong with them. Bass, and we'll call it DI and Amp. Alright, now let's go up and have a look at the rest of the drum mikes. I've got four faders opened. And I have a few different things, I've got a mono here. I've got a couple of stereo rooms. And then I've got this hat track from before. I think I'm gonna put the hat on Output 7. I may not even need this extra microphone but I'll have it just in case. Then that leaves me 8 for my mono room. And then, I'm gonna take my 2 room tracks here, and assign them both to 9 and 10. When we have a listen later on, we'll just make a blend and that's it. So I'm just gonna call that 'Room'. Done! 1 through 12 are done. Now I'm gonna have a look at how many other tracks I have and make some decisions about how much to combine how much not to combine. The very first thing I'm gonna do is come down to the bottom of the session and look at my vocals. Because, one of the great things about working on a console is things don't move. It's not a control surface where one fader can be one thing one time and then another thing some other time. You might see that as a limitation, but for me I see it as this amazing intro to muscle memory, and always knowing where certain things are. So, the lead vocal, on every single mix I've done in the last 10 years has been on fader 24. So, we've got a lead vocal down here, which is Ziggy's lead vocal, we're gonna assign that to 24. Noticed I picked up my orange sharpie. Obviously the lead vocal is orange. Now there's also a secondary lead vocal, a guy named U-Roy is on this track, who is a legend in the Jamaican Reggae scene. Look him up on Wikipedia if you don't know who he is. Then there are a few tracks of background vocals but again, I don't see any point in having these separated. There are only four tracks. They are already panned and balanced as they came to and I'm gonna assume that's a really good starting point. So they get to go next working right to left, on Outputs 21 and 22. So, just like I did with the bass, now I've sort of defined how many faders I have left for everything that is not Drums, Bass and Vocals. And then, we'll see that I have got 2, 4, 6, 8 faders and I have lots of tracks. But looking at the session, I've got a lot of percussion, but not a whole lot of the percussion happens at the same time, so I'm gonna take a chance for right now and group all of the percussion out of a stereo output pair. And I'm going to do it by going to an Aux again. I'm gonna make a Stereo Aux, And call it Perc Aux. Then I solo safe it. 19 and 20. I don't know why. Generally my guitars start at 13, so miscellaneous things and keyboards tend to gravitate over towards the vocals. I don't have a working brown sharpie, which makes me very sad. But I'm gonna color the tracks brown because obviously percussion is brown. There's really no argument about it. We're gonna use a very dark purple on the tape. It's not even coming out as dark as I would have liked. It's OK, I'll get over it. Another thing that I do is you always have to bracket your colors. So when I transition from black to blue we've got a black line and a blue line, when I transition from purplish brown to orange, we have both. Don't ask, it's just otherwise it looks like things are bleeding into each other. So I built the wall. And yes, I'm as crazy as you think. OK now looking at the rest of the instruments, I did say that I like guitars to start on 13. There were two guitars sent. There was a whole decision-making process while we were mixing this song for the album about whether to use this second rhythm guitar. We decided not to. I'm just gonna hide it and get rid of it. While you're working in the box, keeping stuff around is no big deal, working on a console, you have a physical number of outputs and once you fill that hole, that's what that output is for. And it has a panning setting, it has send settings, you’re not really back on individual tracks anymore. So I'm just gonna get rid of things I know don't need. We're definitely gonna put that guitar on 13. And obviously guitars are green. Before I assign it actually, noticed it's panned hard right. All of this pannings have come from the producer, engineer and artist who have worked on the song until they sent it to me. And they were listening to the mix through a stereo bus. Which means that they've actually set theirs pannings already. We preserved the panning of the percussion, toms and background vocals by assigning them to a Stereo Aux or a stereo set of outputs. Once I'm starting to have mono sources, I actually wanna pay attention to the panning as I assign them. So I'm gonna assign this to output 13 but while I do that, I'm gonna immediately go to the console and assign to the right front bus. This console has a quad bus and the front bus is the stereo bus that we listen to. There's a button for left, a button for right. And then there is a pan circuit that you can engage to go somewhere in between left and right. As you may or may not know, there's something called pan law which means when you pan to the center, you actually turn down the signal going to both speakers so that it's the same relative level as when you pan hard left and hard right and there's only one signal in one speaker. I think somewhere between 3 and 4.5 dB is standard depending on what console you're working on. There actually is a preference for it in Pro Tools so you can mimic different styles. SSL is different from Neve, is different from Focusrite, is different from the original Pro Tools mixer. I believe the Neve is 3.5 dB, I could be totally wrong. When you switch in the pan circuit. It actually attenuates the signal, which doesn't sound good because louder is better, we all know that. But it actually does switch in a resistor network and I don't like the sound of it so I tend to use only hard panning when I'm working on the console. A good thing about having Pro Tools as my tape machine is if I really wanna do some subtle panning I can setup a stereo pair of channels that are hard left and hard right on the console and then do my panning in Pro Tools. I don't know if we're really gonna be doing a whole lot of that on this song but that's the theory anyway. So I'm gonna go hard right, get my green sharpie, and this is just gonna be called guitar. It's the only guitar in the mix. Now I have to make a decision about how I'm gonna lay out these keyboards. And very quickly let me play them for you so you see what they're doing. They are all doing the back-beat part of the reggae groove. Later on, piano and B3 again. So the only thing that happens that's different is this B3 in the bridge. He's playing more of a sustained part. So that's gonna be something I might wanna deal with separately. So I think what I'm gonna do is I am going to take all of these keyboards out of one stereo output. And see if I can get away with that and if I can't, later on I'm gonna split the B3 out. But I have a feeling that I can because while the B3 is doing its chord thing all that's going on in the piano are a couple of back-beats. So I'm gonna take all of these keyboards. But I'm trying to fit it in 24. It could be a huge mistake and we'll come back to this later. Put them on 15 and 16. And then we'll color code them in some sort of purplish thing. And then I'm gonna get a lighter purple to differentiate from my not brown purple from earlier. And on 15 and 16. The line is to me to note that it's stereo. And then, what we've got left here are a ton of horn tracks. Again, these are horn sections, they are playing the same part, this is just doubled. I'm gonna treat the horns as one big stereo thing. So, I take all my horn tracks, make them some sort of dark red because they're a live thing. And just because I'm not gonna go hunting for more sharpies we're gonna make them the same color as the keys. And now I'm gonna color U-Roy's vocal. He's a lead vocal so he gets to be orange. The next thing I'm gonna do is very quickly go back through the session and for all of the things that I've split out I'm gonna go ahead and normalize their volumes in a way. So I've got three kick tracks and one of them is up around zero so I'm gonna assume that's a pretty good level there. For the snare, they both look a little low. I don't really care about the balance between these microphones because I'm gonna re-balance myself. So let me go ahead and put the snare top mike to zero. Bring up the snare bottom a little bit. The hat is on its own output. It can go to zero. The toms, I'm gonna leave at the levels that they're at. Because that balance was already done and we're gonna work on the toms specifically in a minute. The overheads are on their own, so they get to get turned all the way up. The mono room is on its own, so it can come up to zero. And then the other rooms are both turned down almost to zero so I'm just go ahead and make them zero. Turn that close room down a bit. There are a couple of tracks I haven't dealt with yet because they were from a drum overdub and we'll hear later on they're just cymbal back-beats to go along with the groove. I'm going to assign the tracks within the overdub to the same outputs as those same tracks in the regular kit. So there's a mono room, that needs to go to 8.
go to 5 and 6. And both of those get turned up to zero. Then the room tracks get assigned to 9 and 10. And again, pop those guys up to zero. This one was quieter, for some reason. Then the only thing I've got left are these tracks here called 'Lightning'. Which are some sound effects so I'm just gonna pop those down on 25 and 26. So I've lied about staying inside this pocket but it happens once in the middle of the song, it's gonna be easy to take care of. And these are offset a tiny bit so once again, I'm gonna bring that up to zero. This was about 2 dB lower so I'll bring that down to -2. Let's make it this color purple Because we're close to this purple, come over here. But that's too many letters, hard to write. And in my brain, I'd rather actually spend the time to get a new piece of tape. Now I'm gonna very quickly go through the console and do panning. Again, this console has a quad bus, there are 4 buttons here in the middle of the module just above the monitor pot which is unused in remix mode. There's a button for the left front speaker, the right front speaker. Which are the actual stereo bus speakers. And then there are left rear and right rear. And we're gonna make great use of this rear bus but not yet. I'm gonna go down the entire console and just pan everything so I've got a starting point. Kick is left and right, that's already in. Snare, left and right. The toms is a stereo pair, so left and right. Overheads, stereo pair, left and right. The hat, most likely, left-ish. We'll figure out the panning on that in a second. Mono room in the center, both left and right. Room is a stereo pair. Guitar was panned right, we did that as we assigned things. Keyboards is a stereo pair again, so left and right. Background vocals, left and right. Both lead vocals straight up the middle. Nobody is in the rear bus yet, because we're gonna add everything as we go. So the last thing I need to do at the console is set up the center section. The center section of my console has two master faders. One for the Front Bus, one for the Rear Bus. I don't need to label those, I know what they are, always there. That's a very convenient place that normally while I'm working I'd write the name of the song and I could keep track of some notes later on like what pass of the flying faders automation goes with which version of the mix. That sort of thing. I'm not gonna bother, I'll just write Fly Rasta. Then, I'm gonna setup some group faders. I know I want to have one fader that is the drums. This is very much like how I use a VCA fader inside of Pro Tools. And this is essentially the same thing, this is a moving fader but it doesn't have any audio associated with it. So, what I'm going to do is, using flying faders there's a group button, light up group, hit the select, now that selected the master for my group, and now I'm gonna go through and select all the members of the group I'm just hitting the select button on every drum fader. Now I hit select on the master again to turn off that mode. And I now have control over all of my drum faders with my master fader. We'll be moving this keyboard out of the way later. That will make more sense. And then, because I like to have the whole mix right in front of me I'm gonna make a group for the bass. It's only two faders but I still wanna have a group for the bass. Normally I would have more groups going on, like I might have groups for rhythm guitars, groups for solo guitars, groups for lots of keyboards. That kind of thing. Because this song is so simply tracked and I'm actually doing quite a bit of combining inside of Pro Tools with the percussion and the horns, I'm gonna reserve the groups for later. Because I'm probably gonna wanna hang on to some group faders to control faders on the other console which will be the returns but I'll set those up after we actually patch. Which is I believe, what we're ready to do. So we're gonna move over to the patch bay and hook up all this old stuff and see if it still works. Hello again children, welcome to the floor of Punkerpad West. What we're gonna do now is patch up a ton of gear all at once rather than sort of pretend we're discovering it one piece of gear at a time. The reason for this is because over the years I've been mixing in the studio, on this gear, with these consoles, I've built a template exactly the same way you would inside of Pro Tools. So what we're gonna do right now is import my template. We're gonna patch it all one piece at a time here at the patchbay and then we're gonna go through the rack, I'll show you what it is that I've patched and how it's set up. Most likely, we're not gonna touch the settings on any of these. Most of what we're setting up is for parallel processing so I can affect the way it's working by changing how much signal I send to it and how much of the return I blend in. There's really no difference between doing it that way and standing up and going to the gear. So, I'm very lazy, I don't like to stand up. So now we're gonna do a bunch of patching then I'm gonna stand up. The first thing I'm gonna do is deal with the sends on the console. I mentioned that there were eight sends. The Send 1 is a mono send. And I'm gonna patch that into a delay, to use as some slap. And what I'm gonna use for this is the Moog Analog Delay which is an API 500 series and it's over here on API number 11. Because it's a Brent Averill rack that has 11 slots. Take the output of that I'm gonna refer to my cheat sheet just because I like to know where things are. And that's gonna go into line input 43 on the console. Send 2 is gonna be used for something I call 'Spread'. It's basically just a micro-pitch slap. It's a modified program on an H 3000. It's pretty standard to use by tons of people. And what I'm gonna do is run it into a mult. All of the Eventide processors are actually discrete stereo inputs but I just want this to be a mono in stereo out FX. If I only plugged in the left side we'd only get delay on the left. So I want to mult, and I've got mults in different spots, I'll use this guy up here. Come out of my mult into both sides of the H 3000. And we're gonna go into 35 and 36. The reason I'm going into these particular channels is because this is where these always come up on the console. The console is set for stereo or mono for them and there's a piece of tape on the console that's already labeled. So, it's just much easier to recreate than to start from scratch. OK. The next thing I'm gonna do is a stereo FX using one of the stereo sends, sends 3 & 4 and 7 & 8 are the stereo sends on this console. I'm gonna come out left and right. I'm going to go into my Stereo Aphex Studio II, it's just one of the older Aphexes. It sounds great. Nice and grainy top end. And we'll probably use that on some vocals and some percussion. So we're going in stereo there. And this goes to lines 33 and 34. Next thing on the list is something which I don't actually do in Pro Tools very often. But it's something that I always do on a console and I call it 'Fat'. Maybe you've noticed that I'm skipping Send 5 because at the moment I'm not positive what we're gonna do on it, I may change my mind in a second. But Send 6 is gonna go off to my BA6A, which in the patchbay is actually labeled 'Fat'. Because it sounds really fat. And that's going to return on line 45. Usually, this is something that I just use on the vocal. There were a couple of different parallel compressors for the vocal. One that was very aggressive and speedy and one that was very warm and big and I would blend these in. And then, as that was always patched up and available, I started to use it on kick and snares, sometimes kick, snare, bass and vocal so I've no idea how we're gonna use it on this mix but I wanna have it available. The next thing we're gonna do is we're going to take a stereo send off the console with 7 and 8. And I'm actually gonna patch it into Pro Tools inputs. So that way, let's say I wanna do a special FX inside of Pro Tools, which is much more easily done with plug-ins than with gear, I'll actually have a send on the console available that just hits Pro Tools, and if I decide to use it then I'll bring that out somewhere on the console. But I don't even have to decide where that is now. I'm going to randomly decide to use inputs 23 and 24. Why not? OK, so those are the 8 sends, I've only patched up 7 so far, and by the time I'm done patching I may have decided what I wanna do with send number 5. I'm gonna grab a bunch more patch cords. And let's start with the busses. The difference between the Aux Sends and the Busses is, on every channel, for the send you turn it on and off and then you have a knob to set the level. For the busses it always takes the post fader signal and routes at unity gain on to the bus. So these are standard multi-track busses as they're found on any analog console. So, these are things that I do not have direct control over how much level is sent from individual channels. But by using the input gain on the device I can change how much level actually hits it overall. Or I can even use a bus trim on the console itself to turn it down if I'm really lazy and don't wanna stand up. These are just standard things that I have set up for every mix so I'm gonna go ahead and patch them in. So patching out of bus 1 off the console I'm going to patch in to an 1176.
not special way but it has all of the buttons in. We're gonna go through the gear later and you'll see what it is. Bus 2 is generally used for the bass crush. It's a very odd signal chain in that, I take bus 2 I go into a transient designer, where the attack is turned all the way down and the release is up a little bit. And that is my bass crush. It's something I came up with a long time ago and it worked the first time and it's worked for the last 10 years so I use it. There are probably things that would work better but I haven't felt the need to look for them yet. OK, so for no particular reason I'm gonna skip bus 3 and move on to bus 4. Just because that's, looking at my sheet from an old recall that's what I do. Bus 4 is going to go to a DBX 160 VU. And this is almost exclusively used as a parallel processor for the kick and snare. Then, we're gonna move on to Bus 5, which is one of my favorite busses, no matter what's plugged in, but in this particular case, this also one of my favorite signal chains. This is a secondary snare crush. We may not need it on this track because this is usually used on a more aggressive rock stuff. But it first goes into a transient designer to increase the release of the sound, then we come out of the transient designer into the Spectra Sonics 610 and out of the Spectra Sonics 610 into line 39. So next is bus 6, which goes to another 1176 with all the buttons in. And the reason for this is this one, is for vocal. Exclusively. The only difference between this 1176 and the one I patched in earlier for drums is the release time. So when I show you those 1176s they're gonna look almost the same. Which is why I sometimes get confused. And this comes back into line 41. And there you go. That's one of my 2 parallel processors for the vocal. Along with the BA6A, if we use it. OK. Next, we have bus 7 a 8. I use it as a stereo bus. We will probably need it on this particular track. This is a stereo drum compressor. And this is the TG compressor. Pretty straight ahead, I usually use it on overheads, sometimes on the toms as well. It just helps things breath and things like that. Out of the TG 1. And into line 47 and 48. Let me grab some more patch cords. And we've got one more bus to patch in and then we're gonna move on to the stereo bus. But rather than using some of the numbered busses I'm gonna use that Rear Bus that I talked about before. If you remember, I have quad assignments for stereo busses or quad busses to stereo busses, a front bus and a rear bus. The front bus actually does feed the speakers, it is the mix. The Rear bus is just another stereo bus sitting around on the console that's fed exactly the same way the speakers are fed with its own set of buttons. So it's the quickest way to get a copy of what's going into the mix bus on any instrument I choose. So that's up top here with the Rear Bus, and I've actually it was already patched in because this was just setup from before. So this is patched into a pair of Blackface 1176s that are from the original Motown Studio, as it turns out. They just sound great, they're old they're crusty, they're probably broken. And those are returning to the console on line 49 and 50. Last but not least, we're gonna do our stereo bus. We're gonna start off with some analog equipment on the stereo bus. We're gonna listen to it. We're gonna make some decisions later on. We may actually switch to some plug-ins. Because I've gotten to the point where even mixing on the console, I've got a great chain that I really love on the mix but we'll just see what happens. So right now, the front bus here is patched straight into a monitor input for Pro Tools. And what I'm gonna do, is pull this and I'm gonna go into the 2264 compressors which are actually built into the console. And this is the Neve out over in wiring. Get it wrong once then you figure it out. Then we come out of the limiter. I'm gonna go into a pair of Langs which are Pultec style EQs but they have solid state amplifiers instead of tube amplifiers. I actually like them better, they're just more controlled. The Pultecs are beautiful EQs but stuff tends to get a little bit out of control to me. So, we're gonna go into a pair of Langs. And come out of those Langs and then into Pro Tools and that's how we're gonna be monitoring through Pro Tools. The only piece of gear that always has patch cords hanging out because I almost always use it is the Aphex 204 that I use on the toms. It's a magic piece of kit. There's no plug-in that does what it does. There's really no other piece of gear that does what it does. It turns cardboard into good sounding toms. I'm gonna go ahead and put them on the insert of 3 and 4. And that's it for that. Now I've made the executive decision, because this is a reggae track and I've got one Send open, I'm actually gonna hook up my dbx 120 Sub box. And what I'm gonna do is I've got an open fader in the middle of the console so I'm gonna bring that back in on line input 14, because it's open and I don't have another mono thing that's gonna fill that up. So there we go! Let's have a quick look at all that outboard gear I patched up, and I'll kind of go in the same order so it'll make some sense to you. we're using this Moog Analog Delay, and I'm actually gonna sort of preset it, it's gonna be a vocal slap. I'm gonna say it's gonna be somewhere around 200 ms. I like the way the drive sounds on this guy. A little bit of feedback, and all the way wet, because we're gonna send from the dry vocal and then bring up some of this delay. So pretty straight ahead over there. Alright? Aux 2 is over here on the H 3000. That's that micro-pitch slap, and it is actually built from a micro-pitch slap program. +9 cents on one side, -9 cents on the other. Ten milliseconds and twenty milliseconds. Ok, the next was that Stereo Aux to the Aphex. This is an Aphex II Studio. It's fluorescent meters, kind of an older unit, maybe third generation of the Aphex processors. Just to point out how little I move the controls, if you come in on this here, you'll notice there are literally cobwebs on the knobs. I could go through the controls on this, but basically, it's sort of midway up on the amount of drive, and it's totally wet, so that all you hear is the Aphex process. You could come and tweak this for every song, but generally, this is gonna work on everything, there's really no point. For Aux 6, we're gonna go down to the bottom of the rack on the guy I call 'Fat Boy', which is the BA6A from RCA. Very old limiter. There are 4 knobs on the front. One of them doesn't even affect the sound of the audio and the other 3 I'm not gonna touch at all. They've been set that way since I started using the device on a send. Really briefly, let me talk about why I'm able to have cobwebs on the knobs and not touch any of the controls on most of this gear. I'm using almost all of these compressors as parallel compressors. I don't care what that compression sounds like on its own, I only care about what it sounds like when blended in with the original uncompressed signal. That gives me quite a bit of leeway. First of all, I can change how much level is going into the compressor, which is essentially the same thing as changing the threshold, but I can do it from the console if it's on a send, and not have to get up. And I'm lazy, so that works out really well for me. The other thing is that I'm changing how much of the return of the compressor I'm blending in with the original signal. So let's say the parallel compressor is really working hard on something. What that usually means is I just use a little bit less of it blended in with the original. It doesn't change the character so much that it matters. If I was directly compressing a signal on an insert, then obviously that's all the sound I have left, and it's critical what that sounds like and I would be over here tweaking knobs all day. Using it in parallel, it really doesn't come up and you'll see as we mix that I really take advantage of that, and it works out great for me, and I really love it that way. You might remember Aux 7 and 8 are going straight into Pro Tools, so we don't have to worry about that at all for right now. So let's move on to the busses. Bus 1 is to this 1176 LN. If you don't know this about 1176s, this is important. To get multiple ratios in at the same time, which basically makes it work in crazy mode, it's not like you put in 20 and 4 and you have 24:1, that's not the way it works. It just makes the time constants crazy and gives you added distortion. Having the outside buttons in is exactly the same as having all four buttons in. If I wanted the equivalent of just these 3 buttons, I can just do that. Electrically, it's exactly the same. So, it's much easier to get 2 of the buttons to stick in than all 4, as any of you who have tried to match all four buttons know. So anyway, all four buttons in. Attack all the way down, release about halfway. Input cranked all the way up, so as soon as I start sending to this, if I do, this is gonna be a super crushed version of whatever goes in. The only other setting that's slightly odd, maybe, because I don't even look at the gain reduction, when you have more than one button in, the meter goes into crazy land and you're no longer really showing gain reduction. It's hyper sensitive, and you'll physically hear the needle banging against the end of the housing. So I put it in +8 mode, and now, I'd have to run so much level into there to have it start knocking against the top that it never really happens. Now I'm gonna skip to Bus 3, because it's a very similar setup. Bus 3 is another 1176, all buttons in, slowest attack, fastest release, again on +8, just to keep the meter from making noise. Pretty good amount of input gain. This is my 'I need my vocal to be more aggressive' compressor. I'm actually gonna use a group fader to control how much of that is getting blended in, because that is a huge part of the vocal sound. Sometimes it will be as loud as the uncompressed vocal, sometimes it's just a tiny bit. On this song, the energy level of the song stays pretty much the same all the way through, but on anything where I have a quiet verse and a big chorus, there will be a lot of volume rides on the return of this compressor. Going back to Bus 2, which was my crazy bass crush, it's one channel of Transient Designer, and it's just Attack all the way off, Release up a little bit. Blend that in, it just helps even out the bass. Generally, you won't use too much of that, but it really does help make all the notes be the same volume. But again, because it's parallel, you keep all of what was great about the uncompressed bass, all of the little tiny bits of dynamics within the performance. Bus 4, dbx 160VU, really simple compressor, sounds super squishy. Nothing else sounds like it -- that I've ever heard. Compression ratio, somewhere around 6:1, a little bit of make-up gain. And my threshold, it's basically set so that, with the levels that I usually run the kick and snare through the console, when I drop those onto the bus, it will go above the threshold on every transient, and then walk back down. We'll have a look at it once I start mixing, but I don't think I've touched this in 10 years. Bus 5 is two pieces of gear. We start with the transient designer. I've never used it on anything except snare. So the first thing I'm doing is I'm lengthening the snare, because this is all about trying to get some excitement and some length to the snare without using reverb. So I lengthen the snare. Then I come down here, to my Spectra Sonics 610, which doesn't even have a meter, so this shows how much I care about how much it's compressing. I'm not killing the input. But basically, every snare hit will actually turn on the overload, because I'm looking to get some of the dirt and distortion that comes out of this compressor. Add a little bit of that into the snare, all of a sudden, the snare sounds a little more exciting and a little longer. By the way, this piece of tape here, on Bus 3, this is actually Bus 6. Bus 3 stopped working once on my console. I changed it to Bus 6, but I'm too lazy to change the tape. So... Hold on, I'll be right back. I'm in dual mono mode. I do not like stereo compressors, I don't like having the detector circuit linked. I like it where something is loud on the left it will compress the left but not affect the right. I'm fine with the left and right balance changing slightly over the course of time, more than I am with having everything pump when there's really only something going on on the left. So, they're in Limit mode. So they're working pretty hard actually. Maybe we'll have a look at the meters once I start running the mix. Cranking up the input to get up above the threshold. A little bit of output. Make-up gain -- I'm in Compressor mode, not Limit mode -- and a recovery of 2. You can look at the manual and see what those times are, but it's a pretty fast recovery, but not super fast. The next very important piece of the puzzle is this Rear Bus that I have spoken so much about. Again, it's a secondary stereo bus coming of the console, and it's going into this pair of 1176s. This pair of compressors originally came from Signet Sound, which was the original Motown studios in LA. Some of the later recordings by the Jackson 5, and then a ton of really cool Motown stuff done in the studio then turned into more of a post-house, etc., etc. They closed, as many studios have, and as you can tell from this rack, I am the home for old gear with no home. At some point along the way, they got a red button for one of them. They have Bakelite knobs, maybe taken off of a Fairchild that broke. Who knows? Missing a button up here, but, basically, this is for everything except the drums and bass, usually. It's all the keyboards, all the guitars, all the vocals, and it makes them all interact. And also it helps sort of bring up the level to match the drums, but it's unlinked compressors again, it's only at 4:1, so it's pretty gentle compression. This is not like a super crushed up version. It's almost the same as the uncompressed, but when you hear the difference blending that in, you really hear what goes on. Very slow attack so it lets the transients through, and sort of a middle release time. Now that we're done with the rack, let me show you those 2264 compressors that are on the stereo bus, before the Langs that I was just talking about. First on the stereo bus chain are these 2264 compressors. They have a compressor circuit and a limiter circuit. 99% of the time you'll see the Limit switched out, and the Compressor switched in. The limiter sounds terrible, the compressor sounds amazing. I don't know anybody who uses the limiter. These top 2 knobs are for the limiter, so we can ignore them. Then these 2 concentric knobs control the 4 parameters of the compressor. This outside knob here is release time. There are two very cool sounding automatic release times. I -- at the moment -- love the very fast release time. I like to get a lot of sort of energy out of these compressors, so I leave this set at 100 ms. I have my threshold all the way up, at +10, because my mixes are crazy loud, and this is a post fader insert. So, I can adjust the amount of compression by taking down my stereo bus. Then, over here, the outside of this knob controls the ratio. So, very low ratio, but you'll see we'll get up to about 4 dB of gain reduction once the mix is really blasting. And then just because of the gain reduction, and how much I've had to bring my stereo bus down, I've got about 4 dB of make-up gain, sometimes it might be 2, but we'll start with 4 and see how that works, and then that feeds into the Langs. Second in the chain, while we're over here, are two Lang EQs. Again, these are Pultec-style EQs, but with solid state amplifiers, I'm gonna set them the way they almost always get set. And then, either 10 or 12k -- we'll go 10k for today -- and +6, a lot of top end here that keeps me from having to add any top end on individual things to get air. I'm just working on mid-range and tone and note, I don't have to really worry about air on the console. So that's it for the rack! So the first thing I'm gonna do, because I'm on the console and I've got lots of faders and it's easy to grab is, I'm just gonna start throwing up faders with everything, get a very rough balance and then I'm probably gonna pull everything down and start with the drums again. But before I do this, because I want to be able to jump around and keep kind of a flow, I want to take you through the console physically. So when I start to reach for something you'll know what's going on. So, every channel here, is exactly the same. There are no stereo channels, mono channels, anything like that. We've already seen the stereo bus assign switches and remember that my Rear Bus are the bottom switches in that group. Right above that we have our Aux Sends. And the way these work is the light blue ones are the mono sends, so 1, 2, 5 and 6 you hit the button, it pops up. Now the send is on and I have level. Put it down to turn it off. What's cool about that is you can actually turn it on and off leaving the level were you had it to see if you like it better with or without instead of turning up and down. The dark blue, sends 3 and 4, and 7 and 8 work exactly the same way but they're setup as stereo sends. So the left knob is exactly like the knobs for the mono sends, you turn Aux 3 and 4 on here, and you do the volume here. Then this knob is the pan that spans between Aux 3 and 4 or Aux 7 and 8. If I wanted to set this up as mono sends I could just pan to 3 or pan to 4. And that's essentially two mono sends with the volume control here. I am actually using both of them for stereo things. If you remember, 3 and 4 is the stereo Aphex. And 7 and 8 is some yet to be determined stereo thing inside of Pro Tools. If you pop this knob up, the pan knob, for either the stereo sends what that does is it make that send pre. The mono sends are only post. The stereo sends can be pre or post. I'll be using them on post all day. Just above that is the line trim for the input to the module. A couple of these are not at the unity position because the amplifiers inside the channels are drifted a little bit. So I sort of kind of aligned the console. I won't really be touching those unless something is horribly wrong. Just above that is the EQ. These are basically Neve 1084 EQs. It's exactly the same EQ circuit and topology as the 1084, the difference is, and what makes it a 31102, is that there's no line input. The mike pre is here and is full range but if you know the 1084 or the 1073, 1066, any of the sort of standalone 3 band EQs, this mic pre knob will actually go past a certain point and then turn into a line gain knob. These EQs do not have a line input. Which is what I was talking about before about the channel not having two line inputs. The line input actually happens down in the Aux module. The way the EQ is arranged is there's a high pass filter on the outside of this concentric pot, a low pass filter, which almost never gets used, on the top. Then we get our low shelf, frequency select here, boost/cut here. Then the mid-range band. You have a frequency select here, boost/cut here. And then you have high Q switch. It's sort of a fully parametric EQ except it's not fully parametric in that you have fixed frequencies and you only have two possibilities for the bandwidth of that filter. 99% of the time I'm not in high Q mode. To me it's too tight and it's a little bit resonant. And if I'm gonna try and do something specific with and EQ it's not gonna be with a Neve style EQ. Then we move up to the high shelf, which has three frequencies to it. 10 and 12 are like 1073 and 1066, and then 16 is above the shelf that either those EQs have. So you actually have some choices. I tend to use the 10k shelf the most but that's just because it's easier to hear. So, what I'm going to do is I will say now I'm going to EQ the kick drum and I'm just gonna mess around with it. You'll hear the difference and than I can A/B with the EQ in EQ out but I'm not really gonna stop and go over every single band of EQ as we go because otherwise we're gonna be here for a week. Alright? I'm gonna hit play, throw up faders, get a quick balance and then we'll start working on the drums. OK, get some idea of what’s going on, most of the channels on the desk are working, which is a huge plus. And we'll hunt down any problems we get along the way. I'm just gonna start with the drums. I could start with something else but why would I? What I'm really trying to do at this point is take these twenty something tracks of drums that are coming out of 10 outputs on faders and make them act like one fader. So that after I go through the drum kit and get it sounding good I'd have one fader in the middle of the board for my drums and that's it. Let's start where it makes sense, the kick drum. What I'm gonna do first is listen to the 3 kick drum tracks, kind of decide which ones I wanna use, get some sort of balance and then I'm gonna start EQing and adding some of the parallel compression stuff to it. OK, so basically what I've decided is that I don't need the kick sub. So I'll go ahead and make that guy inactive. And I'm balancing between the Kick Reso, which I'm assuming is some sort of resonator and the inside mike. At the moment I'm gonna try and do all of my sonic stuff out here. I may have to go back into Pro Tools and do some extra EQ. I feel like I'm really missing some low end, some sub there. But I'm gonna try to get it out of my Sub Box that I've patched up and also I'm gonna get some of the parallel compression going. The first thing I'm gonna do is check out Bus 4, which is our dbx 160 VU. That's helping and I like it. We could talk about the setting and where it's coming back and things like that but I'm actually finding it sort of irrelevant. This is what I was talking about before and I talked about having a template out here in the real world the same way you would in Pro Tools. That compressor has been set the same way for years and the return is basically at nominal level. And because the song doesn't have a huge amount of dynamics, it starts, gets going, keeps going until the bridge, then picks right back again and goes to the out, I'm probably not gonna have to have any control over that, I adjust my kick and snare to sound great and they'll sound great all the way through the track. Now I'm gonna go through the same process with the snare. Add it to the same sort of compression and then see if that sub helps out with the kick. So here we go with the snare. So really quickly, here's kick and snare without the parallel compression and without the EQ. Here's just the parallel compression. OK, and as promised I'm gonna start playing with the sub and see if that works well. That's on Send 5. The return for the sub is over here and I've got that going just to the front bus. It's interesting, I'm gonna keep it around and then once we have the bass and the rest of the kit going then we'll see how it all works out. A lot of times while I'm working on the EQ on instruments I'm really just playing and trying to find things but there is always something in my head. Kick drum I'm always looking for enough point that it's gonna cut through, even with a loud track. As it turns out we're adding some 35 Hz on the low shelf and later on that may change to 60, I go back and forth as to which frequency works better. And then for the point, we're adding some 4.8 and a 10K shelf. And the amount of those will change as we keep re-balancing the drums. Snare is almost exactly the same thing. I'm looking for some high frequency to really bring out the crack as well as the sound of the snares themselves. And to go along with that I need some thump because that's gonna be the weight and the size of the snare. If it's too thin it really just takes your head off, it doesn't help with the groove. There needs to be some relationship between the kick and the snare so that the groove itself comes from those two drums. And in this case it's a shelf at around 220. I'm also high passing the snare a little bit, it looks like 45. The high-pass filters will go in on almost every single EQ that I use and that's just to keep everything else that doesn't need to be down in the bottom out of the bottom. So the kick drum and the bass should probably be the only things that live down there at the moment. As we EQ that high-pass filter is gonna come in. we're using the EQ on the console, I'm using Bus 4, which is a post fader send, so whatever balance I make of my kick and snare here that's the same balance that gets sent over to the gear on bus 4, which in this case, is a DBX 160 VU. And just because we can, let me turn off the send going to the sub, and I can take the kick and snare out of the stereo bus and you can hear just the DBX. And here is just the direct. And here is the combination with both. So moving left to right on the console, the next thing to look at is the toms, and you may remember from our time at the patchbay, this is the only thing on the console with an actual insert on it. So, I'm gonna go over to the Aphex 204, which we have on the toms and see what it's up to. So I'm just gonna loop that one section where the toms hit. And let's start listening just to the left side. Now we're gonna go to the right side. And all I'm really doing over here is just tweaking the frequency that's driving and how much drive. I think that sort of speaks for itself. That is a magic box on toms. I don't know that I'd ever used it on anything else. And I bought a second one just as a spare, just in case. On the agenda are overheads, let's see what we've got here. There are two main sort of schools of overhead miking, one is cymbal mikes, one is drum kit mikes. Let's see which one we've got. Sounds like we're dealing with basic drum kit miking but there also aren't very many cymbals at all in the track, which is good. So I can use this just as part of the kit. And those drum overdub tracks that we saw earlier, those are actually accent crashes all the way through the big chorus section. I don't have a whole lot to deal with in terms of cymbals here, I'm just gonna crank this up, see if some of the parallel compression works, maybe EQ a little bit and we'll move on. First thing I'm gonna do is use some clip gain just to bring up the level, because they are a little low. The next thing I'm gonna do is see if our TG compressor, which was that stereo compressor we hooked up before, see if that helps. I believe that was Bus 7 and 8. The return is really loud, I'm just gonna go turn that down. Did you miss me? I doubt it. Now I'm gonna EQ a little bit, I just wanna get it a little bit brighter, bring out a little bit of the room. There isn't really any good low end down there that I'm hearing but I'm gonna crank that up just to see and probably end up high-passing this a little bit. OK I lied, there's actually some good low end down there. What I've ended up doing is a tiny bit of high-pass filter and then the shelf at 229, boosting that up kind of a lot, no mid band EQ, and then a 10K shelf to brighten it up. Here's with and without the EQ. I like it better with so we're gonna go with it. And here's without EQ and compression just to remember what we started with. And here's EQ as well. And now I'm just gonna make sure it all works with the kick and snare. And then we're gonna move on. Next, I'm just gonna mute those guys and leave them up. Next we've got this mono room, which came with a compressor and it's pretty crushed. I'm gonna make sure we like how crushed it is, see how it blends in with the rest of the kit, maybe EQ it, maybe not. I wanna control some of the low end and hearing it I kind of wish that they'd controlled the low end before the compressor. And then it occurs to me, the compressor is a plug-in in Pro Tools so I can actually do that. I'm gonna move in to Pro Tools and EQ before the compressor and then we may come back out in the console to EQ afterwards. So I've gotten rid of some of the crazy low end that was really making that compressor pump but the next thing I wanna do is take out the harsh frequency that happened when that crash cymbal happened. I'm gonna find that spot in the track. And now I'm gonna use the EQ3 seek and destroy option. And then, holding down Shift and Control, as I move the frequency it will turn the EQ into a band pass filter and allow me to find the really horrendous frequency here. Alright. I think this is pretty usable, let's see how it works with everything else. As it turns out, it' a little bit thick, I don't love it, I'm gonna just leave it alone but turn it off for now. Let's check out the other room. This is a combination of two room tracks. We've got a far room and then a room so I'm assuming 'Room' is a little bit closer. Both of them sound pretty good, they seem a little left heavy. I'm actually gonna use my line trims on the console just to balance it up real quick. Alright, let's see how it sounds with everything else. OK, in isolation that seems fine, I have no idea how it's gonna work in the track. So let's mute that with our one handy group fader and now I'm gonna move on to the bass. Again, there is some problem solving that happened in the 'in the box' mix where I had the DI and an amped track. And I'll play those for you again here. So the DI sounds like this. Which is cool but very clean and direct. And then the amped track sounds like this. Very subby and flabby, I'm not sure how useful that's gonna be. What I'm gonna do is mute that amped track, take my copy of the DI, route it out of the amp output, and actually turn these guys back up to zero there's no reason to be attenuating in the box here. And now I'm gonna add a Sansamp plug-in. Which is one of the very first modeling plug-ins, it was part of the first Bomb Factory collection. And basically, I've explained this before but I'll go through it quickly again. It is an amp simulator, so there's a preamp, which is basically input gain, there are 4 different types of distortion circuit, Buzz, Punch, Crunch and Drive, and they all have different frequency characteristics and different dynamic characteristics, and we're just gonna crank them around and kind of see what sounds good. There is an overall EQ, more of a tone control that happens after the distortion and then level is output level. So, we're gonna listen to just our copy of our DI track out of the amp output and turn this into an amp track. OK, so now let's see how this blends in with the clean DI and make some decisions about that relative balance. I feel like they're still sounding a little too similar I'm gonna kind of mess with the copy of the DI even more and make it maybe a little too dirty and then we'll see how it blends in. Alright, now we're gonna see how it works with the drums. Now I'm gonna mute the drums again and let's check out our bass crush which, if you remember, is the very strangely set up transient designer where we basically take away all of the attack, crank the sustain up a little bit, and I'm gonna put that on here which again, is just a switch. It's a post fader send, so we'll get exactly the same balance I've got here. Then we're gonna run over to the other console, and start blending it in and we'll see if it's helping or hurting. I'm gonna hit the button here, I'm gonna go over here and turn it all the way off, and actually, here's something we can do, I'm gonna make a group so that I can control it remotely just while I get the balance then I'm gonna unmake the group. But I'd like to sit between the speakers while I make this decision. I'm gonna turn on my group mode, I'm gonna hit select on my empty group fader, I'm not using it for anything yet, run over here, select the bass crush, exit group mode. So now that I have them grouped, it's basically like turning this console into a control surface so I can move this fader here while I'm sitting right between the speakers, and like magic, that fader over there follows my every move. As soon as I've got a level I like, I can go ahead and ungroup the fader and it will just stay right there. OK, I think I like that. I'm still in group mode here. All I need to to is reselect the master. That selects the faders over here, hit select to take it out of the group. And now that fader will just stay right there and I free this fader up for something later. So now, if you wanna get an idea of what that transient designer sounds like, I'm gonna take the bass out of the stereo bus and now we're just listening to the return of the transient designer. I think that it's kind of hard to argue that sounds good but it's all about what it does when you blend it in. So now, I think that what we really need to to do is address this back-beat, which is the other part of the groove. So you've got your 4 on the floor kick, you've got your moving bass and then you've got your back-beat, which is made up from some guitar, and also from 3 different keyboards, which take turns playing. The piano goes all the way through then we've got a B3 and a Rhodes that are taking turns. And if you remember I made the decision just the put the keys together in a stereo pair and we'll see how well that's gonna work out. Plus there's one thing that we actually did to this rhythm guitar that I'm gonna go ahead and import. In the choruses we added the spring reverb to it. I'm gonna bring that into the session and then you can check out what it sounds like. So really quickly, to recap from the other version of this mix, what we did is we created a spring reverb to sound very much like it's part of the amplifier. And only have it on in the choruses so the guitar will dry up in the verses, which also helps point out the difference between the B3 and the Rhodes. The Rhodes is a little tighter than the B3. So all I need to do now that I've imported this is route the output to the same output as the guitar itself because I want this to live with the guitar. Super dry, which is gonna give us a really good contrast because he also drops down the voicing. Without changing the rhythm and without really changing the part all of a sudden we've got two very different versions of this and that's gonna go well with the keyboards. Let's have a listen to the keyboards and see what's going on here. And I'll try not to make a tiny selection. Here we go. The first thing is that there's an upright piano which is panned right. That goes with the guitar so we'll deal with that in a second. I'm gonna treat this almost like to mono faders. Let's listen to the B3 and the Rhodes on the left and see what they're up to. They sound pretty similar you can hear there's still a little piano bleed because the piano isn't panned hard right. So now I'm gonna check out the guitar and the keyboards together, I don't know if there's a whole lot to do with this, let's just see what happens. I'm gonna leave this completely alone, there's no point EQing something that doesn't necessarily need EQ. Now it's time to get this balanced so that our groove works with the bass, drums and keyboards and guitars. I'm gonna do something which is easy to do on a console, hard to do 'in the box'. I'm gonna just yank all the faders down, and let's build up a balance knowing what we already know. OK, two quick things I'm gonna do, I'm gonna add a little bit of sub to the bass, because I can, and let's see if that works. He's not always playing low so this might just get messy and it might not be the kind of thing I wanna do but since he plays lower in the chorus than in the verse it might actually help us build the chorus. The other thing I'm gonna do is I'm gonna bring in our Rear Bus. I'm gonna take the guitar and the keyboards and assign them to the Rear Bus exactly the same way they're assigned to the Front Bus. So the guitar is in the Front Right so I put it in the Rear Right. Keyboards are split left right so I put that left right. There's a master fader for the Rear Bus. And then there's a pair of faders over here that's the return. I'm gonna make a group just because I'll probably want one that's going to let this last fader here control the Rear Bus. I'm gonna leave it set up that's why I'm using the last fader. I'm gonna do the very simple thing of hitting the select buttons over here, on my 1176. All these faders are at zero so I'm at zero here, those faders are at zero. And now once again, we have remote control of those 2 faders. And I'm gonna start bringing in the Rear Bus and let's see what happens. Just from experience, I know if my Rear Bus sits around -10 that's probably good. I'm gonna really just play with the return. OK, also at this point, I'm gonna do something on the console just because I know I have to do it. This console will put out +28. The Pro Tools inputs are aligned to -18. That means I've got 10 dB more headroom coming out of the console than I do going into Pro Tools. So I'm basically gonna move my master fader from my front bus, which is the mix, down to about -10. That is going to affect the amount of compression I get out my 2264 so I'll still be pushing that a little bit but I can't really go too much further than that because I will start to clip the input of the Pro Tools rig. I'm gonna start at -10. So all of a sudden, what you've been listening to is gonna get a little quieter but at the same time, I'm gonna have a look at my stereo bus and decide if we wanna use any of the plug-ins that I normally use in the stereo bus alongside the hardware or indeed, instead of the hardware. I've brought the stereo mix down, it's not gonna sound quite as exciting for a second but we'll get used to that drop in level. I really wanna go through what's going in the stereo bus out here and then decide if we're gonna use any plug-ins along with it. What we're going through is the Neve 2264s that live inside the console than the Lang EQs which are just Pultec style EQs with solid state amplifiers instead of tube amps. And then we're going into a pair of Pro Tools inputs and I've got a Massey Limiter on the back-end of that just keeping the red lights off because it makes me look good. And also note I do have soft clip on on the interfaces. I'm a big fan of soft clip again because it keeps the lights off but it sounds good to me. It's pretty transparent and there are times where we really push the inputs. Later on we may decide to really push the input of Pro Tools with this mix just to get a little more bite out of it and that's why I'm so good at putting square waves in my mix. Really quickly, my normal 2-mix chain at the moment is a model of a Farichild 670 with very little compression. In fact, let's just turn that threshold all the way down so there's no compression possible there. Then the next thing is a 33609 plug-in which I use because I'm trying to recreate what I do with the 2264. We're definitely not gonna use that, we're gonna use the compressors on the board. Brainworx EQ which works in M/S mode and I'm gonna zero it out for now and we'll come back to this once we've got the vocals in and decide if we wanna do it. The other thing it's gotta on is a stereo width control. I'm gonna actually leave this EQ in for now and leave the width up and just see if that's cool or not. What's great about it is it moves stuff outside the speakers what's bad about it is it actually makes it impossible to pan something hard left because the way it works is with some weird phase tricks and by adding out of phase bits of the signal into the opposite speaker you actually, if you solo something that's supposed to be hard left, it isn't, it's on both sides a little bit. It can widen your stereo field but it can also really blur your stereo separation and your stereo placement. Considering I'm doing just left center right panning it might turn out to be a bad thing. But we'll listen once we've got some more material in there. Next in the chain is something doing the job of the Lang. Once again I'm gonna blow this off, it's just a Pultec set almost the same way that the Langs were set. Next is a Fabfilter Limiter and we'll just stick with the Massey for now. So really it looks as though we've got two possibilities. One is this Fairchild 670 just for some color. And the other is this stereo M/S EQ which we get into later on once the mix is done. So I think I'm gonna make sure the groove is cool. And then gonna check out the Horns, they were sounding a little wet to me when I did the rough balance. We may have to re-balance the Horn reverb. Maybe eq them a little bit and probably check out the Aphex. Let me double check my balance and then we'll check out the Horns. I feel like I want some more low end out of the bass, I'm gonna jump back and re-eq the bass. What I'm really trying to do here is get a big picture and if I weren't speaking to you, I would just have the mix running and running, and the faders might come down a couple of times. I'm breaking out of my own thought process every time we do this but the thing that's bugging me right now is I don't feel like the bass has enough weight. So that's what we're gonna take care with the EQ on the desk and I'm gonna focus on the amp track. Because I feel like the DI is really just for definition, I don't wanna use it for tone. I'm also bringing up the send for the sub on the bass as well as the kick so the kick and bass are going there. I'm still not in love with this, there's something about the kick/bass area that I'm not loving so I'm gonna start messing with what we call 'Fat' which is that BA6A. And that is on Send 6 which happens to be right next to the Sub Send. I'm just gonna start messing with the kick the bass and then possibly the snare depending on what happens to the kick and the bass. And it's all just gonna be on my little blue knobs for Send 6. Alright, this is a first but I'm actually gonna back off the input to the BA6A because these Sends are super sensitive. So all I'm gonna do is turn it down a few clicks. OK, I'm gonna turn those sends off. I think it's a lot better with. I'm also noticing, again I'm gonna be jumping around a lot, and I do this a lot more on a console because everything is right in front of me as opposed to having to really focus in on something. on their Aux which is feeding the output. Just to get some more level out of them. It's a little low overall but I like the balance, I don't wanna mess with the balance. And now I'm just gonna solo up the keyboards and I'm probably gonna use a high-pass filter to get rid of a little of the messy low end and then we're gonna move on. So what I've done is I've high-passed them at around 160 and then I'm using the shelf to take out even a little more. I ended up on different frequencies so I'm gonna even that up just so it looks better because it's not really critical. And then I'm actually adding a little 3K because I think that's gonna help bring out some tone and that should be well below where I'm really gonna want start pushing the vocal. I'm gonna leave the top end alone. It's subtle but in the track I think it's gonna help. Because that's another crucial element to the groove and in a way maybe it should have been in before the keyboards. I've got all the percussion grouped again because it's only a couple elements at a time and I can't believe I'm really gonna get myself into trouble so I've got a stereo pair of percussion, I'm almost definitely gonna wanna brighten it up which I'm gonna do with a combination of EQ but I'm also gonna use the Aphex because it's a really special grainy top end with lots of sort of compressed top end along with it which is gonna really help it poke out and hopefully lift it above where the hi-hat and the cymbals are to differentiate itself. So, we'll listen to just the percussion and go from there. I'm noticing immediately that there's a low-mid frequency in that conga pattern that I'm gonna wanna get rid of. OK, that's much better to me and let's listen to all the percussion together. I'll actually move a little further down where we've got more going on. I'm just using my line trims to help even these guys up. I'm using a bit of the Aphex and some EQ. So, really quickly here is with no Aphex and no EQ. Here's with adding the Aphex. And here's Aphex and EQ. And remember, all of these Sends are post fader and post EQ so that extra top end from the EQ is gonna move over into the Aphex as well. And while this is running I'm gonna use the high-pass just to get rid of any crap down the bottom end. Alright, let's drop them into the track and see what happens. I think what I'm gonna do, because I can, is I'm gonna mute the bass using my group, mute the guitar and keyboards, because that's all that's in and then I'm gonna blend the percussion until we like it, bring the rest of the instruments in and then we're moving on. Now that we've got more of the mix in but before we get the vocals I wanna give you an idea of what those Langs are doing because it's actually a big part of the sound of the mix. I think you can hear with the Langs that it's a very broad EQ, super bright, I'm adding a ton of top end and this again is so that I don't have to go through and do on lots of individual tracks. And actually I'm realizing I did it a little bit late because I think I've overdone it with the EQ on the bass and maybe even the kick drum. So I'm gonna pop the EQ back out on the bass and see how this feels. Yeah, so now the bass actually feels good to me without the EQ. I was compensating for something that I knew wasn't there but it was coming. So now it's here. I think we're on to the Horns. Solo them up first just to make sure everything is working. Part of the joys of working on analog gear, you can't assume, just because you unmuted, it's going to play. So it's playing but it sounds very reverby to me. I'm gonna turn down all of the room tracks. So, they're in the Rear Bus as well because they should live there along with the percussion and the guitars in the back-beats. And let's find a level for them. So, I think I've got the balance going pretty well but I don't have my vocals in and I'm realizing that a lot of my faders are near the top. I don't necessarily need headroom level wise because I can always bring my mixbus up and down. But I definitely need headroom physically on the faders. Flying faders has an amazingly complex and powerful trim window which even works before you start automating. I'm not automating anything on the console yet, these faders are all static, the only way I'm using the motors is with groups or links or something like that. But if I open up the trim window by hitting the other key over here it opens up a dialog on the flying faders screen where I can select a certain number of faders. I've already selected just my source faders. That's faders 1 through 26. That's the tracks coming out of Pro Tools. And I'm not selecting any of the returns of the parallel compressors or anything like that because what I'm gonna be able to do is now turn those faders up and down keeping the balance that I've got. And as I bring them down, the send to all of the parallel compression, FX and things like that will come down with them. It's a great way for me to give myself fader headroom and also change how I'm hitting the stereo bus compressor without changing my balance at all. I'm just gonna hit play then using the plus and minus keys I can go up and down a tenth of a dB or with shift plus and minus come up and down a dB. And I'm looking for a pretty coarse adjustment here so I'm gonna use the Shift key and probably come down 3 or 4 dB. Alright, that's better, I've got some room physically but also I'm listening as I do it because as I bring those faders down obviously it changes how it hits the stereo bus but also changes how all of those individual tracks are hitting their parallel processing. I'm really just using my ears to see when I gaining the headroom without loosing the fun. And the fun is all the impact of the kick and snare hitting that dbx 160, is the Rear Bus making the bubble, which is the guitar and the keyboards pump along with the Horns. And I think I just sort of found a sweet spot. And the good thing is that sweet spot is a couple of dB wide. It's not really super precise and it's all about just listening. I wish I could tell you what happened on the meters but I have no idea because it doesn't really matter. So at this point, I think we're out to check out our background vocals. Right now the background vocals are going straight to output pair 21 and 22. Just in case I wanna do anything overall to them inside of Pro Tools, instead of using an Aux to go through I'm actually just gonna use a master fader for that output. And it's just an easy way for me to be able to grab the level of what's coming out of a stereo pair without actually changing the Pro Tools mixer. I've assigned a master to outputs 21 and 22.
either just adjust the level up and down or actually put plug-ins on if there's something I wanna do overall to these tracks that isn't something I would do in the console. The first thing we're gonna do is solo these up and listen. And hear the exquisite sound of the Marley sisters plus some other folks. So, those sound pretty great right away. All I'm really gonna do is sort of standard vocal processing. They're gonna get a little bit of reverb, they're gonna get a little bit of Aphex, maybe a little bit of EQ, some high-pass. They're definitely gonna go in the Rear Bus. And now I'm gonna set up a reverb that I imported that was the vocal reverb on another mix, it's the UAD Plate with a little filter on the way in. And I'm gonna set that up to get the input that I had from Sends 7 and 8. I'm actually gonna use a physical send from the console to hit a Pro Tools reverb and then that reverb is gonna come up on two channels on the desk over there. So, inputs 25 and 26, outputs 27 and 28. Let me solo these guys up, see what this reverb is like. OK, so now I'm gonna go ahead and EQ, do a little bit with the Aphex and that's probably all these need. OK, here is without Aphex and without EQ. Who wouldn't want that? I'm gonna pop them in the track, get a quick level and then it's time to move on to some lead vocals. Alright, it is time for some lead vocal. I'm gonna go to a verse here where Ziggy is singing, I'm gonna solo them up. Basically, what I'm gonna be working with here is the EQ, the Aphex, the Reverb, maybe the BA6A, so these are all things that are on Sends. Then, if you remember we have our special 1176 set up. And that's another where I'm gonna wanna play with the level of the return. I know I'm gonna wanna hammer it just with whatever the post fader level is. I'm not really worried about the send level, which why it's on a bus, but I am worried about the return level so the first thing I'm gonna do is set up a group on my fourth my third group fader, which we'll be using as a spare. I have my group from my vocal crush. I'm gonna go ahead and engage it and then bring it up here is sort of the same motion as bringing up the send when you're checking out a reverb. Or checking out a parallel compressor on a send. I think it's best if I just now work on the vocal and I'll tell you what we ended up doing. Let's forget about the slap for a second and give you a quick recap about what I did. And this is one of the things that's awesome about working on the console. I just adjusted 5 FXs and an EQ in about 5 seconds. With the EQ, doing exactly what you'd expect, I'm high-passing around 70, adding a little 220 for some body, and then the 7.2 mid band and the 10K shelf are adding together to give me some top. That's going into the Aphex. Exactly like what we did with the background vocals, basically. So let's check out our lead vocal in the track and see if we're even close. OK, all I've done is take the slap off of Ziggy's voice. I probably need it on U-Roy, I might even need it to be set differently. I've added a little bit of the reverb, because I like that. And that's it so it's time for the big man, U-Roy. I'm gonna go to the end. He is representing something fierce. And let's see what's going on here. Alright, let's here it in context. Again, almost exactly the same treatment as Ziggy's vocal. I've used bus 6 which is that 1176 set on stun blending that in. It's the same blend as Ziggy because he's actually sharing it with Ziggy. The EQs have ended up almost identical, high-pass at 70, little boost with the shelf at 220.
interesting, on Ziggy it's actually cut at 7.2 that may or may not be a good thing. And a little bit of the 10K shelf. A little bit of the slap, which we set up with Ziggy's voice but now we're using on U-Roy's voice. A little bit of spread which is that micro-pitch slap. Basically, a little bit of everything. Because it's on the manual, why not use it? The only thing we have left that we haven't listened to is the FX. I'm gonna very quickly go to where they happen in the song, have a quick listen to what they are. I'm gonna assume they should go in the Rear Bus. I think that's gonna be absolutely fine. I'm gonna set a rough level. You know what, I'm not gonna set a rough level, I'm gonna do something which is awesome about mixing on a console, is I'm gonna do this. And I'm just gonna re-balance the track quickly. I feel like the balance was good, but it wasn't magic. So, why not? I can do this from scratch. I'm just gonna run from the top now that I've got tones in everything including the vocal and then we'll see if there's anything that doesn't fit once we put it together. One thing that I wanna make clear about all of these parallel compression chains that I'm just slamming into, using a button, not even a send, then I'm bringing up the returns, is that years and years spent in the studio have been spent refining these chains, and basically what happens is, let's say with the Rear Bus chain, I said, 'Well I've got an extra stereo bus, let's use it'. So I started by deciding I'm gonna try and find something that will work on everything except bass and drums. So I tried lots of different compressors. Once I decided I really liked my one pair of old crusty blackface 1176s then I spent a lot of time on the attack and release time. Attack time for me, on the 1176, almost always slow as possible, but the release time can totally change the character of the compressor. I spent a long time, on different mixes, messing with the release time. And eventually, over the course of 5 or 6 mixes, that release time didn't have to be touched anymore, it just worked. And that's the same with the input and output gains. The input, because it's a fixed threshold compressor, really just decides how much level I've got to slam into it before it really starts compressing. The output gain is where do I have to leave the return faders so that it works. Now, because I've got a Rear Bus master over here, that's my input control. And for my output, usually I can just leave those faders up at zero. But every once in a while I wanna control the return and that's why I have my group faders over here. The same goes for the vocal crush. It's such a massively, distorted, crazy sounding compression. There's tons of input gain, the slowest attack, fastest release. The 4 and the 20 buttons are in so it's all buttons in. It's in distortion land crazy world. I don't really care about the subtleties of that. I've got the input set so there's a lot of compression, I'm sending off a bus. And it's all about how much of it I blend in. So really the thing I need to control is the return. And there's no meter that's relevant. If I look at the gain reduction meter or the output meter, in all buttons in mode, the gain reduction meter doesn't mean anything anymore. And the output meter doesn't mean anything to me because I'm gonna blend it in using a fader not the output control on the compressor. Again, it's all about how it feels and how it sounds. And then in terms of the overall mix I can set my master fader just looking at the meters on my 2264 because I'm always getting about 4 dB of compression. But, probably five years ago I stopped looking at those meters because I know how it feels. There's this trade off between pumping the mix and distorting the mix, and I just live in that world. So, basically, I'm so comfortable in my own space and I've used the gear for so long that you could take all the meters off of everything. I worked with Bruce Swedien for years and there was a joke that we could build him a rack that just had inputs and outputs and no knobs and no meters and it's because he knew the gear so well that it was all set and he would affect how it worked around him. It's not that I think that I found the perfect setting for this compressor. It's just I found a setting that works and it's easier for me to affectively change the settings by changing what I send to it and how much of it I listen to than it is to get up. It's a combination of me being brilliant and me being lazy. And it's somewhere right in between. So all of that said, I think it's time to turn on the automation. Which with flying faders is as simple as hitting the run button. OK, before we start automating let me just talk about the system. This is the Martinsound flying faders system. It started off as Neve flying faders and then some time around the VR2 I think, they split ways and it became it's own company. It's based on a 486 running windows 2.1, with the serial track ball. It's the most stable system in the world. There are probably flying faders systems that have been on for 20 years and not rebooted. And they just work. In terms of automation it's one of the most flexible systems around, there's a lot of Pro Tools automation that is based on functions from flying faders. Some of which because I kept calling them until they did it. Some of which because it's just obvious. I wanna talk really briefly about fader modes. And then we're gonna talk about the trim window again. Because remember I was using that to move all my faders up and down. But the trim mode on this is scary. And they finally implemented it in Pro Tools. And it's really cool. So first of all, on every fader, down here we've got an Auto Match light and a Record light. And then on top you've got a Record light. Down here are the buttons for the fader, and up here this Record is for the Mute. And then in between you've got Select and Solo. And Select and Solo don't have anything to do with automation, they're there for doing groups and things like that. I'm not gonna deal with mute automation because that's one thing, with Pro Tools, other than cleaning up noise at the beginning and end of mixes, you don't really need to mute on a console anymore. You're kind of wasting your time if you do. There are three modes you can be in. One is with all lights off and what this does is, as soon as you turn on the automation for the first time you get a snapshot of all of the faders and that is the static level the fader will sit at unless you touch it. So, with all lights off, when time-code is running, if I touch a fader, it will write as I hold down the fader and when I let go, it will just leave everything at that spot. And then if there were moves I'd already recorded those moves will playback but they'll playback trimmed by however much the differences between where the fader was and where I left it. So let's say I've got a bunch of rides on a vocal and then I wanna ride the beginning of the vocal and I wanna it to be a little quieter afterwards. I do my ride and then I leave the fader down and when time-code is running you actually see some Auto Match triangles and I'll do an example of this in a second so you can see what I'm talking about. And you'll see once you let go that the moves will still happen but they'll actually all be happening a little bit quieter than they used to be. So, it's like a trim mode but when touching the fader you're sort of in this absolute write mode and then an offset trim when you let go. If you hold down Auto Match and hit record and turn on your Auto Match light, the difference here is this is truly like touch mode. So, when you touch the fader you're writing absolute levels as soon as you let go it's gonna snap back to wherever the fader used to be and all of your automation will happen as it used to. Then the last mode is Full On record mode. And what happens here is as soon as you touch the fader you're on hard write mode so you're writing absolute moves and when you let go, the fader will stay in Write all the way until you stop the time-code and it will write a level so all of the writes you have done before go away. 99% of the time I have the console in Auto Match mode, which is like Touch mode in Pro Tools, and I'll show you, every once in a while, if we get to, that this automation is gonna be pretty simple. I might use the All Lights off mode to just trim a fader from a certain point in the song to the end. Because wherever I grab it it goes all the way to the end once I hit stop. Alright, all that said, with the Run button on, the first time I give it a time-code, it takes a snapshot and we're off and running. So I'm gonna go ahead and ride the drums. And that's gonna work till the end of the track. One thing I noticed really quickly is the FXs are too loud. So I'm gonna use that trim window trick, even though there's no automation, rather than add automation to the middle of the song on a fader that's not playing anything in my mind it's cleaner if it just sits still so I'm gonna use the Trim Window, pull it down, close the Trim window and that's where it will stay. And now, even though I was moving the fader while the time-code was running you notice it just sticks to that level. It will never move again. Alright, so now I'm gonna do a quick pass with both vocals. And what we're probably gonna find out is that I'm really only writing one vocal at a time. But I feel like I can handle it. So we'll see. Because they don't do a whole lot at the same time. And while this is rolling I may just be backing up. And if I make a mistake I'm just gonna rewind a little bit and let it play again. I'm not gonna bother pointing it out, you'll hear it. Alright, so that works a lot better for me. There might be a couple of rides that aren't exactly right now because I may have pushed them a little too far. But I'll find those as we go along, I don't think you need to watch me do that much detailed work. I have to say this has been a fascinating experience, to mix the same song two days in a row in two totally different ways. I think the 'in the box' mix ended up very much in the same world as the record mix, even though there's quite a bit of difference between them. But it's a really interesting way to reinforce the concept that the process informs the product. And I think what it is, is that from the very first thing you hear as you start to build the mix, that sets you on your path. And as you go down that path it's almost whatever is easiest is where you start working. So for me, on a console, what's super easy is to be popping things in and out and grabbing EQs. Whereas in the box, what's super easy, is to work with parallel compression chains a little bit slower than doing it on the console because I can't just push a button, I actually have to make the send. It's much more about balance and panning than it is about EQ because you really have to think about what you want to EQ in the box beside what kind of EQ you' gonna use. Whereas here with a much more limited power of EQ, I feel like I'm doing more EQ and utilizing the parallel chains a little bit more to shape the sound. And I'm also relying on the interaction of things within the Rear Bus a lot more than I was in the other mix. I'm sure these mixes sound totally different, more importantly, I'm sure they feel totally different, but I'm pretty happy with both of them. Really exciting to see his mixing process! Andrew is not only brilliant and mixes from his heart - but he is such a gentleman - rare these days. Thank you for making me a better engineer. Oh? And Pure-Mix ROCKS! 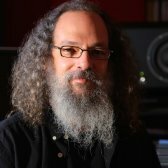 Andrew Scheps gives us a great insight into mixing here,this has got to be one of the best i've seen,soo full of great little tips & methods from a man who really knows his stuff,my subscription ends tomorrow & this was well worth the fee anyday & def improved my mixes & gave food for thought! This was so great to watch! Insightful and good vibes. Super interesting to see the importance of preparation which leaves the actual mixing relatively simplistic. Awesome!!! Loved watching Andrew go through the process. He explained everything so well. Really good videos. Thank you Andrew, both videos are awesome ! And thank you Fab too ! Thanks you so much to ever post a video like this!! Thanks you Andrew for able to share your work! Sometimes somebody shares something that goes with you in life…this is one! !, Also, you share assurance that, all the inspiring mixers can have a way to know good and bad practices in sound wise philosophical and mixing manners. Your solid way to show us your workflow, is an excellent way to have good and solid bases to build upon…. again and again, thank you for posting this 2 awesome mixing Journeys!!! Come on, it's Andrew Schepps!! He's like the Les Paul of mix engineers. He's so successfully lazy. ('sniffles'...it's everything I've dreamed of). First and foremost, love the song. Saw Zig do it live on Guitar Center sessions on cable. Fun Fun Fun!! But watching Andy mix it, especially the OTB, just floored me. Such a simple process because he knows his gear. Didn't have to deal with comp settings, reverb settings, etc. Just used his buss send and return levels. I agree, that this is one of the most useful video series I've ever seen. Slate has a new series as well. Will be interesting to compare. Loved this though Andy. This is the most helpfull set of videos i have come across ever! Thanks a lot! You guys are so awesome! Thank you Andrew for doing these. I love your minimalistic philosophy. Hearing what analog does to the signal gives me a new benchmark to aim for as I work in the box. I enjoyed every minute and learned so much. Thank you Andrew and Fab. The Man Himself at work. Fascinating insight! Though a lot of things I wouldn't do, still interesting to see how it works for him. Thanks for sharing, great video. Nice work guys. Thanks Fab and Andrew for this. It's been great watching the videos after having been in Flux and sitting with Fab for an extended period of time. Andrew, great work as always. Would love to be able to be in a mix with you sometime. One thing you and Fab share is you are both great orators. Andrew one thing that makes this video such a joy to watch is that you have almost zero disfluencies in your speech (ummms, ahhhs, hesitations) which is very important in this type of "public" speaking. Again, hats off. Would love to see more like this. Incredible. Thank you so so much! Such a fascinating journey... I'm impressed by how quickly you can adjust multiple effects in a few seconds. Well, if you know what you are doing of course. :-) Amazing video, leaves you shouting for more. Thank you Andrew and Fab!! !